This cake is for my son's birthday. 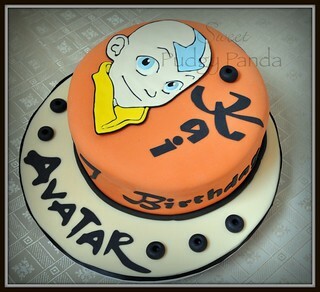 Aang's head is made of royal icing and the lettering is cut out of gumpaste using my Cricut machine. It was my first time using my Cricut for gumpaste and it wasn't as scary as I thought it would be. The circular blobs are to hold the candles.